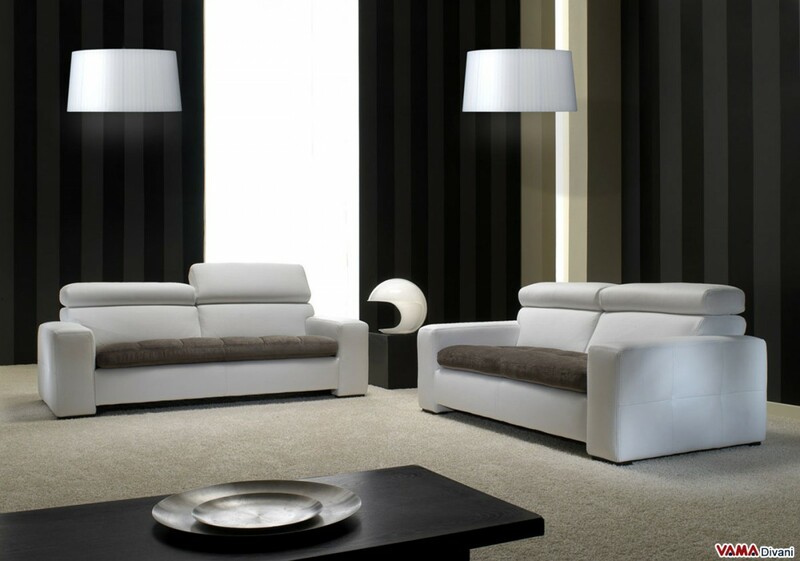 Contemporary sofa with a well-defined and original design, characterised by bold shapes and showy volumes. 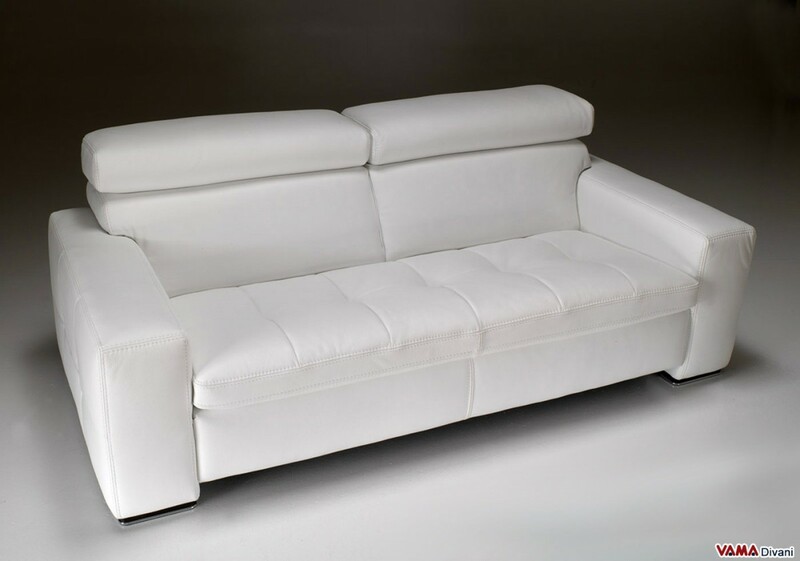 This white leather sofa presents several stylistic features, such as the quilted cushion of the seat, the soft headrest and its wooden feet in wenge colour. Kyoto is a contemporary sofa featuring a very special look, characterised by some shapes which recreate showy and charming volumes. 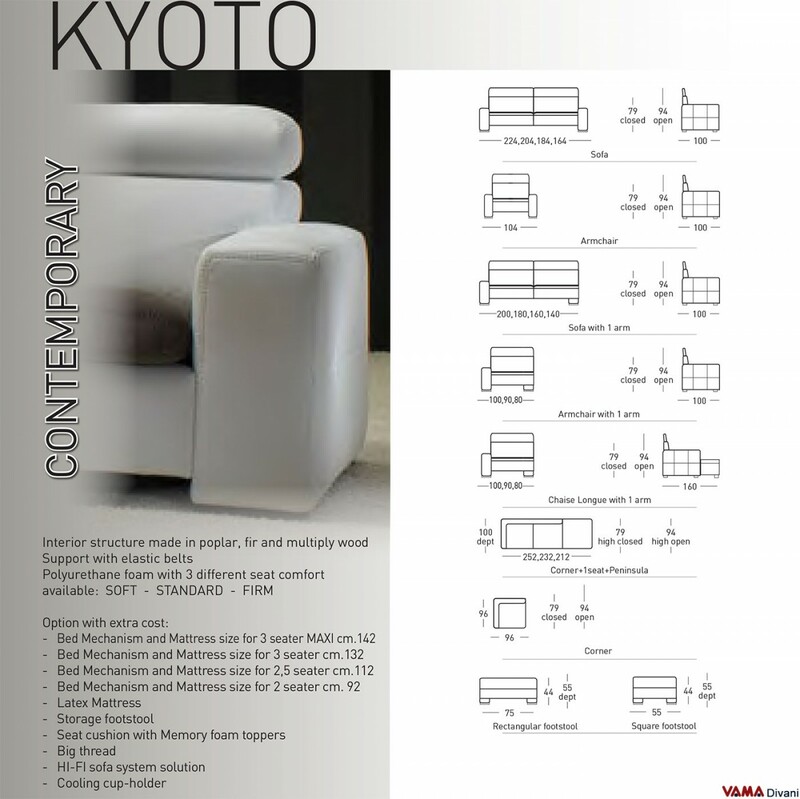 Entirely upholstered in white leather, Kyoto presents many features which distinguish it from any other contemporary sofa, for example, its large and angular arms, its seat which offers a beautiful quilted cushion and on the body you can see some pretty decorative tonal seams. Its headrests, along with its soft padding, make this sofa very comfortable. Therefore, its wooden feet in wenge colour and polished steel finish represent very interesting details. This contemporary sofa optimally combines the originality of its style with the Italian tradition of craftsmanship, a feature shared by all the VAMA Divani creations. Even this version, however, can be customised.